#HowToSail - Looking to escape to the sea and learn the ropes of how to crew or be a day skipper offshore? 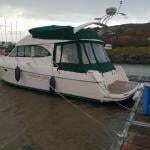 This October Bank Holiday weekend, the West Cork Sailing and Powerboating Centre will host five days of clinics from Saturday 27 to Wednesday 31 October, organised by Wild Atlantic Wildlife in tandem with Bantry Bay Sailing Club and sailed on the 37ft Jessy of Adrigole. The competent crew introductory course is for those looking to experience being at the elm, helping with the sails, dealing with ropes, learning about being safe on the water and generally being a useful hand on deck. For more advanced sailors with at least five days on a yacht (100 nautical miles and four-plus night hours), the Irish Sailing Day Skipper practical certification course will be more useful — designed to teach you to take charge safely and confidently. Spaces are limited for these courses, priced at €500 saying or €800 solo in your own private cabin. 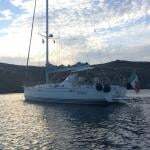 The cost includes foul weather gear and lifejacket (you’ll have to bring our own footwear, sleeping bag and pillow), mooring and marina fees, fuel, breakfast and lunch, and one evening meal aboard. For more details see the Wild Atlantic Wildlife website HERE.